Posted on June 6, 2016 by Helena K.
Whether it was Josephine dousing her rooms with her signature scent to make sure Napoleon would not forget her, ancient Greeks using perfume to fortify spiritual connections, or young girls in modern day France carefully selecting their first scent as a coming of age ritual, perfume has played a complicated and essential role in the lives of individual and cultures around the world. Perfume gives us a way of creating moods, taking on identities that are perhaps a little bit more adventurous, a little bit more sensual than we believe ourself to be. Perfume lets us partake in something luxurious and weave it into our everyday lived experience; whether or not we cannot afford an haute couture dress, but we can dress our bodies in the designer’s fragrance. 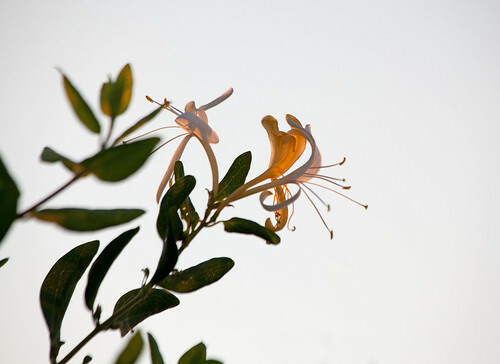 Capturing natural fragrances to create pleasing and commercially viable perfume formulation is a fine art that must take both scent and appearance into consideration. 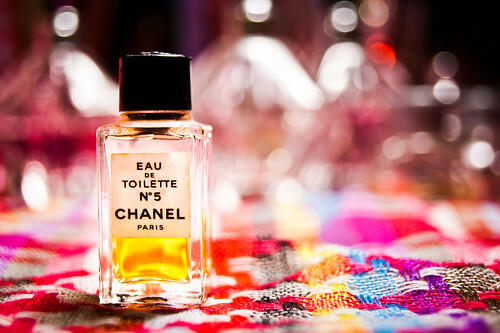 When it comes to commercially produced perfume, however, scent isn’t the only thing that matters. Although humans’ olfactory prowess is impressive, we remain primarily visual creatures, relying on what we see to help us predict sensory experiences and evaluate product quality. And one of the most important visual cues we are looking for is color. As noted in Talanta: The International Journal of Pure and Applied Analytical Chemistry, “Color perception plays a major role in the consumer evaluation of perfume quality. Consumers need first to be entirely satisfied with the sensory properties of products, before other quality dimensions become relevant.”3 Not only must the color be pleasing to the eye, but it should ideally relate to the scent of the perfume itself to set up a positive, cohesive sensory experience. Pairing a dark amber hue with a light, airy scent risks creating a displeasing incongruence and misleading consumers. In addition to color, the clarity of the perfume is also of utmost importance, as a cloudy product can give the impression of impurity or rancidity. Spectrophotometric monitoring of both color and haze throughout the perfume production process allows manufacturers to precisely tailor formulations based on objective data rather than subjective visual assessment. Today, sophisticated transmittance instruments such as the HunterLab Vista, gives you the ability to easily capture both color and haze information simultaneously in a single measurement, creating a comprehensive picture of your product. Using the data collected by your spectrophotometer, you can make more informed decisions about potential recipe or process changes as well as instantly identify when a product does not meet your aesthetic quality standards, creating opportunities to quickly quarantine defective product before its release into the marketplace. Additionally, these spectrophotometers may be used to evaluate perfume quality over time via either forced or real time to let you observe product behavior over time, including unwanted color changes, material separation, or the development of haze, information which can be used to improve formulation and create the best handling instructions. Evaluating the appearance of perfume via spectrophotometric analysis is now more important than ever to guarantee consistency. An anti-counterfeit perfume blogger writes, “Check the color of the perfume against a genuine bottle; if the perfume’s color is wrong inside your bottle, it is probably a fake.”5 Of course, this advice only works if genuine perfumes are consistent in color and clarity; even slight variations may not only be off-putting but may actually call the authenticity of your product into question by savvy consumers. Continuous monitoring of perfume throughout manufacturing to guarantee consistent color and appearance is imperative to assure consumers that they are purchasing the real deal. HunterLab has been a pioneer in the field of spectophotometry for over 60 years. Today, we offer a comprehensive lineup of portable, benchtop, and inline instruments ideally suited for the versatile needs of the perfume industry. From the most precise transmission color and haze measurement to package color analysis via reflectance measurement, we have the tools you need for the ultimate in quality control at every stage of your manufacturing process. We invite you to contact us to learn more about our innovative products and world-class customer service and let us help you select the perfect instrument for your needs. This entry was posted in Color in Chemical Industry, Color Measurement. Bookmark the permalink. ISOCOLOR has interfaced its color formulation software ISOMATCH to the HunterLab VISTA spectrophotometer: this tool enables to measure fragrance solutions, color match in the lab and adjust in production. Integrating custom color-matching technology in fragrance production has become a decisive advantage to maintain consistency and high productivity.